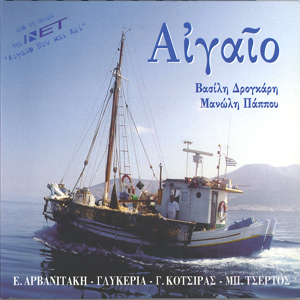 The sea symbol of Greece, the Aegean, presented in 15 melodies. Inspired by a documentary of Greek National Television and dedicated to important poets and composers, like M. Hadjidakis, N. Kavadias and O. Elytis, people who associated their inspiration with the Aegean sea, this CD is an ideal companion to real and imaginary journeys. You will be accompanied by the voices of important Greek singers like Eleftheria Arvanitaki, Glykeria, Giannis Kotsiras, and Babis Tsertos.